As you can see from the Publisher’s Marketplace blurb, we decided to go with the “less-is-more” option. For right now, all I can say is that the book will be written from Madeline’s POV, and…well, that’s about it. More details to come later, probably after Saving Maddie is released (March 9th, 2010). 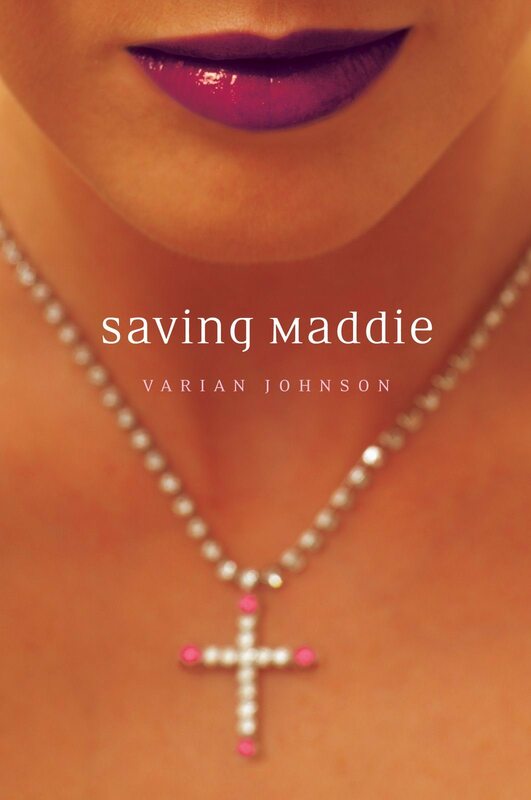 Sorry for all the vagueness…but to make up for it, I’m thinking about giving away my last, lone, final ARC of Saving Maddie. Stay tuned to the blog, Facebook, or Twitter for details…. Alpha Phi Alpha, Zeta Zeta Chapter, Stompdown, 2000 (Part 1). Alpha Phi Alpha, Zeta Zeta Chapter, Stompdown, 2000 (Part 2). Alpha Phi Alpha, Zeta Zeta Chapter, Stompdown, 2000 (Part 3). Recognize this guy? It’s not Austin Powers…it’s Jay Asher. Groovy, baby! I’m not even gonna try to list everyone I met, because I know I’ll leave someone out. All I’ll say is that I had a great time, and I can’t wait for next year! Round Rock, Texas — Acclaimed authors Kathi Appelt and Sharon Darrow will lead a conference on the craft of writing for young readers on Oct. 2 and Oct. 3 at Teravista (4333 Teravista Club Dr.) in Round Rock, which is located just 20 minutes north of Austin. The event is sponsored by the Vermont College of Fine Arts MFA program in Writing for Children and Young Adults, where both Kathi and Sharon serve on the faculty. The VCFA program intends for this retreat to serve as an opportunity for alumni and their colleagues to reconnect with one another as well as to reignite their passion for the craft of writing for children and teens. You do not need to be a VCFA graduate to participate. Together, Kathi and Sharon will discuss the rewards of the writing life, product, and process. Festivities will begin at 6 p.m. Oct. 2 with a social gathering at Teravista’s historic Ranch House, and continue the following day with lectures, workshops, and panel discussions at Teravista Golf Club. The fee for the VCFA Day in the Lone Star State event is $150.00. Online registration is available at this link. Contact Debbie Gonzales (512.426.6050) with questions. Thanks to the awesomeness of Jenny Medford with Websy Daisy Web Design, I have a new website. And it’s spiffy! I’m in the process of switching domain registration and hosting services (in preparation for the BRAND NEW WEBSITE!!! ), which means varianjohnson.com may be out of commission during the next week or so. Feel free to check out my schedule of infrequent blogging at Livejournal, or you can also follow me on Twitter or Facebook. You can also email me at varianjohson(at)gmail(dot)com. And for those of you going to the SCBWI Conference, see you in LA! Me and Rita Williams-Garcia. I’m holding the ARC for Rita’s next book, ONE CRAZY SUMMER and Rita’s holding the ARC for SAVING MADDIE. Me and my good friend Rachel Wilson. Many of you haven’t heard of Rachel yet (unless you’ve been lucky enough to catch her performing with Barrel of Monkeys) but Rach is a superstar waiting to happen (that is, if she ever finishes that novel…). Unfortunately for her, Rach is one of my best friends from Vermont, which means she knows way too much about my nose hair grooming habits (long story) and affection for meat. Seriously, Rachel is amazing, and I would happily give her a kidney if she ever needed one (again, another long story). And speaking of meat…that’s a MEAT tray from the party the 4th semester’s threw for my class. As many people at VCFA know, I have a thing for meat, and the Sweet Dreams and Flying Machines were kind enough to provide a little protein nourishment at the party. All kidding aside, Vermont College of Fine Arts is a magical place–a place that I’ll miss dearly. I made some lifelong friends there, and I learned so much about the craft of writing. I am a better writer because of this program, and I only hope that any future novels I write will honor the fine VCFA tradition of quality literature. FYI – While I was in Vermont, I missed all sorts of things concerning Justine Larbalestier‘s cover for her new YA novel, LIAR. I’ll have more to say in this topic at some point, probably closer to the release of SAVING MADDIE, but I do want to say that I’m in awe of how honest and brave Justine has been about this. She is made of awesome. That’s me doing karaoke at Vermont College. And what am I singing?